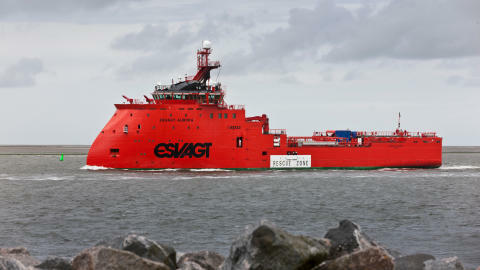 ESVAGT has experience in operating in Arctic regions, for instance with the 'Esvagt Aurora'. A higher oil & gas production is expected in the Barents Sea in the coming years. The reserves in the area are substantial: As recently as 2017, the Norwegian Petroleum Directorate updated their size evaluation of the area’s oil & gas reserves to over 17 bn barrels; a doubling compared to the estimates used so far. This translates into new opportunities for ESVAGT. Operating in the Arctic regions requires particular skills, which ESVAGT possesses. Five vessels in the fleet are able to operate in particularly harsh winter climates and are fitted for instance with heated ladders and surfaces which can withstand icing. Among them the ‘Esvagt Aurora’, which has worked in the Goliat field for Eni Norge since 2012. 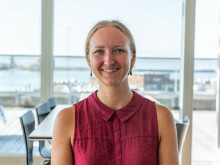 ‘It is on many levels challenging to work in the Arctic regions’, says Ole Ditlev Nielsen, Business Development Manager at ESVAGT: ‘The cold can lead to icing and generally complicates operations. Additionally, it is almost dark throughout the day during wintertime, and the sudden polar low pressures with a particularly changing sea have to be taken into account. On top of that, multiple environmental considerations need to be respected, as the nature in the Arctic regions is extremely delicate’, he says. According to Ole Ditlev Nielsen, ESVAGT’s experience with Arctic operations will be a clear competitive advantage. ‘It is a market with sharp requirements, and where knowledge and know-how are quite essential. We have trained a lot in the area, worked actively with oil spill response, taken care of all support functions and been involved in successful rescue operations. Those experiences will be of great value to us, when the Barents Sea will be further explored’, evaluates Ole Ditlev Nielsen. Besides the ‘Esvagt Aurora’, the shipping company has four smaller vessels, which likewise are optimized for winter operations in rather demanding environments.